It was long pending plan to visit Madamme Tussards after staying for more than 5 months in UK. It is one of the Tourist attractions. But some how our time didn’t seem right to accommodate Madamme Tussards in it. 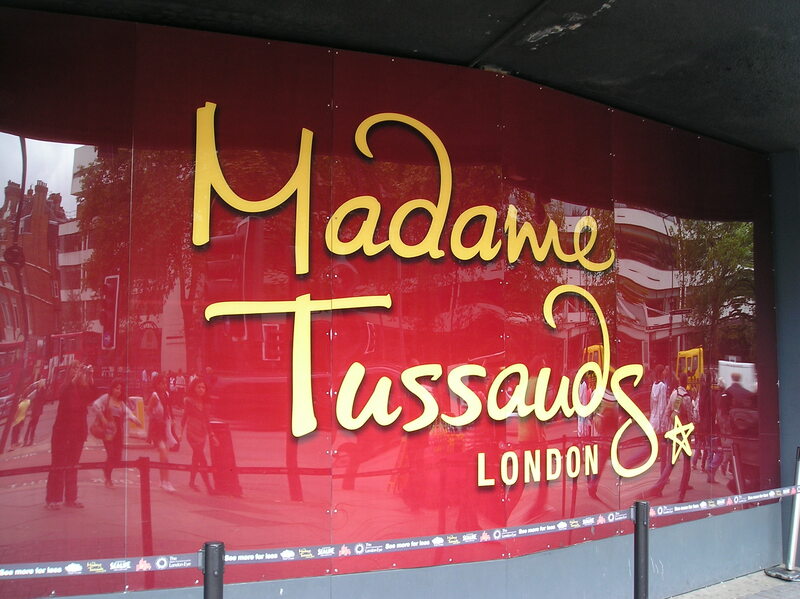 Didn’t had much to do for Christmas, checked the opening hours of Madamme Tussards and to our luck it was open on 27th Dec 2010. My Husband sat down to book our tickets ( with an exciting movie running on LED and negotiating some crappy strategy in-office domain via a phone call). Few minutes later he told me our tickets were booked–instead of 27th it’s on 26th—Bingo.26th boxing day……my shopping was screwed. A day after Christmas ( hell man) my boxing day shopping is screwed —-” Cancel the ticket right away” was my scream, in my high pitch voice, my scream must have reached India. All his efforts were in vain as everything was closed. So v decided to go……gggggrmmmmmmmm. My cunning thoughts tell me, my husband might have screwed up the booking dates purposefully —to avoid my boxing day shopping. Will take the revenge later. One of our friends decided to join–Raghu and srenuka. To give U a glimpse of rahu- Full of life, enjoys every moment, deeply in love with his wife. Poor thing takes care of her smallest and tiniest wishes but at the same time is tough fighting competitor to srenuka. BTW Srenuka and raghu have been married for more than 1 & 1/2 year. Coming to srenuka, Life bitterness is so far away from her. Her thoughts are so innocent that U can’t help yourself than to laugh at it.Enjoys shopping to core, loves to laugh, likes to munch and try different variety of food, always ready to help others. We all decided to visit MT ( Here after addressing Madamme Tussards as MT) on 26th Dec 2010.We reside in Ipswich which is 73.6 miles east to london. We drove till Newbury park tube station, parked our car there & decided to take a tube till baker street. Had our desi breakfast—dosa till our tummies were full followed srenuka’s yummy gulab jammun. All set to go…..v reached Newbury tube station & got our tickets. Our walk from the ticket generating kisok to ticket identifying machine was obstructed by a huge man, enlightening us by the strike the tube train was witnessing. This is what was left to be experienced…..a strike!!!!!! !Raghu & vishal(my husband) tried to think of an alternate route to reach,mean time me & srenuka ( like typically girls) were discussing to visit Oxford street for shopping once done with TM. Alternate route was to catch a tube on central line till Leytonstone, which is 4th station from Newbury. U may think Y only till Leytonstone? because THE CENTRAL LINE WAS WORKING TILL LEYTONSTONE. After getting down on Leytonstone, v had to search for a mode of transport to reach further. Some on guided to hop in a bus till startford. Like ants following the instructions we got in and reached startford. Startford bus station was too crowed with people.what a scene….i was taken back to mumbai’s crowded bus station.It was so exciting to see so many people standing and waiting for their respective bus to arrive. If u have stayed in UK for 6 months u might know by now- to see such a big crowd is an event of excitement, specially for people from India. We waited there for 15 mins and then got to know v can get a Bus No 25 Oxfard street to reach near bakers street.Ok all geared up to climb the bus no 25, we impatiently waited.V saw the bus approaching…cool, that was quick. The moment the bus stopped there were ocean of people who tried to get in.That moment i realized i wasnt the only one for 25 but the whole ocean of people were waiting for the same Bus!!!!!!!!!!!!!!!!!!!!!!!!!!!!!!!!!! No, how can so many people go to Oxford on the same day? Vishal & raghu suggested v wait for next 25 bus and then try to get in. By the time v had this conversation i saw bus 25 still standing, i shouted at my gang to get in the bus. Raghu with an evil laugh told me,” it is the same bus which had arrived 20 mints before”’. I was shocked to hear that. Srenuka & me decided to inspect the situation more closely, to our surprise v found out that the bus was waiting for few people to voluntarily get out of the bus so that the doors close down.They were people literally, i mean literally hanging out of the bus trying to get in.What a hilarious Indian scene that too in london. I felt like home.I witnessed the same process for next 2 bus , while vishal-raghu and srenuka were desperately looking for alternate route to reach. Finally my husband commented,’ u will see all this once u reach india, getting moving on” After that i realized my stand still position for few (or more) minutes. V did dare another time to get in 25 but it was in vain. 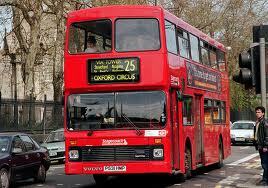 Some how we got a bus to reach baker street and reached MT after 3 hours of struggle. Under normal circumstance, it would have taken not more than 1 & 1/2 hour. So take-away from the blog is never ever plan anything on 26th Dec other than shopping.